An incredible and thrilling chance to scale the top of the world, Mount Everest Expedition by Bharal Adventure truly fulfills your desire to set foot on the top of the world, i.e., the peak of Mount Everest, the highest peak of the world. Sir Edmund Hillary and Tenzing Norgay Sherpa in the year 1953 accomplished it at first. Climbing Mount Everest is one of the most challenging yet more fulfilling expedition. If you ever desire to scale this highest pinnacle of the world, this is your opportunity to chase your dream. The height and length by contemporary standards is moderate. Mount Everest Expedition was the first ride for Disney to have its train’s travels both forward and backward. The mountain facade, the Yeti audio-animatronics’, and the roller coaster are three independent structures. Each structure reaches the ground-level and does not touch the other two structures. Expedition Everest’s mountain is made from 1,800 tons of steel and painted with 2,000 gallons of paint. It is the tallest artificial mountain in the world, but not, as occasionally cited, the tallest point in Florida. The challenging Mount Everest Expedition begins from the scenic yet thrilling flight to Lukla. From here more than two months long trek into the mighty Himalayas begin. This 71 days expedition offers training and practices as you trek into higher altitude in the harsh weather conditions to scale the top of the world. 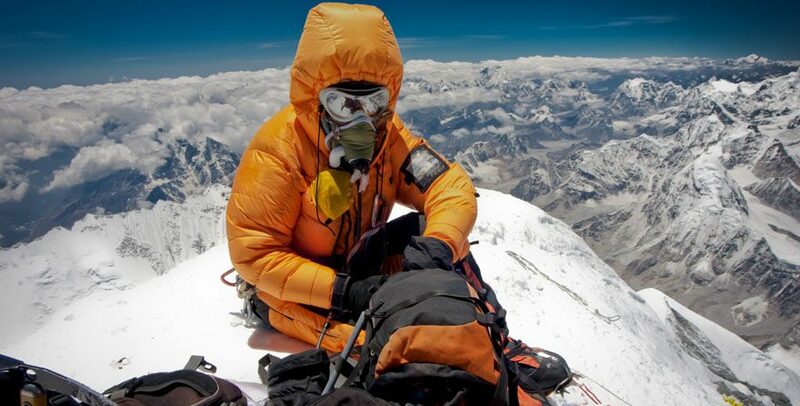 Proper training on use of climbing equipment and techniques are provided along with the constant acclimatization activities. This ensures minimal injury or risks as you aspire to set your foot on the “head of the sky”. Therefore, Bharal Adventure is fully concious about the safty measures. We assure you best hospitality and quality services. As long as the Everest Expedition continues till then we set up a Permanent Everest Base Camp. Personal Tent will be provided to you for your comfort which is necessary for you. We provide a spacious dining hall with chairs and tables – carpeted, heated and lit by solar electricity make your stay at base camp as luxurious as possible with internet facilities at hand .We have a hygienic shower tent and toilet went along with kitchen and store tents. An experienced and fabulous Sheaf will be provided for cooking at the Everest Base Camp to cater the great meals and expedition team manager to deal with all the required logistics necessary for a successful expedition. For a proper acclimatization we will spend several nights at the Everest Base Camp before we head to the higher camps. We will organize a practical climb of a 6000 meter peak to test your climbing skills before we head out on our attempt to climb Everest. Upon arrival at base camp, we organize refreshment climbing training covering climbing techniques, glacier travel, rope fixing, ascending, descending, safety techniques, abseiling, belaying, use of oxygen, mask and regulator etc. We climb the Khumbu ice fall several times on our acclimatization hike to Camp 2 and Camp 3. Climbing Sherpa’s complete their duty of preparation by ensuring that all the high camps are well stocked with tents, food and oxygen for the summit push. We return to base camp for rest and recuperation before we make the summit attempt. After getting confirmation of a favorable weather forecast, we head up with our summit plan to ABC and then CAMP 1, CAMP 2, CAMP 3, Camp 4 and then the SUMMIT. We provide expedition tents on all the higher camps. There will be 1:1 one Climber and one climbing Sherpa ratio to ensure that every climber has complete support to enable them to scale the summit and return back to base camp safely. Bharal Adventure facilitates the entire expedition group climbing gear including all high altitude tents, solar lights, dining tent with chairs and tables, oxygen, regulators, masks, climbing ropes etc in a bid to Everest expedition in Nepal. We provide sufficient, plentiful and tasty hygienically prepared food at both base and advanced base camps during your Everest expedition. Ample high altitude foods are provided at higher camps. All the expedition load ferries from base camp to all the higher camps are included in the cost which most of the other expedition operators charge as extras. All our Everest Expedition climbing Sherpa have extensive knowledge of wilderness medical training and they are competent to deal with the normal medical issues. We have Oxygen and comprehensive medical kits along with a Gamow bag available as a safety back up. We also motivate all the climbers to carry personal micro medical kits with them. We use most recent, tested TOP OUT mask and oxygen regulator and 4 litre Poisk oxygen bottles. Satellite phones and two-way radios will always be there for communication. Good weather is essential on all Everest expeditions and to ensure the safety of all our climbers and supporting crew. We use a professional and reliable weather forecast service for the whole expedition period with regular info and updates until the ultimate summit push and safe return to base camp. Mount Everest Expedition is no doubt an amazing experience to any of the particular adventure Lover. This expedition is a dream to some of the people around the world. We are proud to announce that our Everest Expedition has been 100% successful whenever we lunch it. After the 100 % successful summit rate on our earlier Everest Expedition, we are now opening or lunching the booking of Mount Everest Expedition South Col Nepal side 2018 to qualified climbers from around the world. We accept a maximum of 10 climbers in a group so hurry and be prepared to make your dream come true to stand on the top of the world to be a hero of adventure world. A representative from Bharal Adventure will greet and accompany the guest from the airport to their hotel. The guests are briefly explained about the program they will be participating on. A meeting at our office will be organized where the guests will be able to meet and interact with other participants, team leader and crew members of the expedition. In the evening, a welcome dinner will be organized to familiarize the guests with authentic Nepali cuisine. These two days shall be spent on sightseeing around the cultural, spiritual and historical sites in Kathmandu including four of the UNESCO World Heritage sites that are Kathmandu Durbar Square, Pashupatinath, Swayambhu – The Monkey Temple, and Boudhnath. Also, finalizing of the official procedure and other necessary arrangements shall be done on these days along with providing you a briefing on the nature of expedition, equipments and team composition. Moreover, last minute shopping of the personal items needed in the Himalayas could be done during this period. In the late afternoon of the third day, the leader will check everyone’s equipment, as Kathmandu is the last opportunity to buy anything missing. You will also get introduced with fellow expedition members and guides. A 40 minute flight to Tenzing-Hillary Airport in Lukla will be taken from Kathmandu airport just after the breakfast. Meeting with other crew members and preparation for the trek will begin here. To assist in acclimatization, a short hike from Lukla to Phakding will be set. An amusing walk along the Dudh Koshi begins just after breakfast. Passing through the villages, trails and bridges takes the team to the entrance of Sagarmatha National Park at Monjo. Descending from there to Jorsale village, team starts the climb to Namche Bazaar as they arrive at Hillary Suspension Bridge traversing through the confluence of Dudh Koshi and Bhote Koshi. A break at Chautara is made to admire the spectacular views of the highest mountains in the region. An hour walk further and the team reaches the trading center of the region - Namche Bazaar. This day shall be spent in leisure in Namche Bazaar where we shall be involved in some acclimatization activities at the altitude of 3,450m/11,300 ft for which we could either take a day hike to Thame or visiting Khunde or just relax and explore Namche Bazaar itself. We could also go to the Tourist Visitor Center near the headquarter of the Sagarmatha National Park where we can observe an assortment of things related to the first Everest ascenders, Sherpa culture and learn about the various plant and animal life of the Everest region. On the seventh day, we shall begin our trek to Tengboche along the trail contouring around the side of the valley above Dudh Koshi River passing through several villages and tea shops, crossing the Dudh Koshi River and making a steep climb up to arrive at Tengboche, the home of a newly rebuilt monastery. Passing through the Chortens, Mani walls and small villages, we come up close to the fantastic view of Ama Dablam where we sit down to enjoy our lunch. Following the path down to the river into another suspension bridge, we pass the rhododendron forest and walk further to reach Pangboche from where contouring up the valley side across the river and ascending up will take us to Imja Valley from where we walk further along the picturesque trail to arrive at Dingboche, a farming village in the Khumbu region. These 2 days are important phase of the expedition since it will be spent on acclimatization in one of the best location for the purpose in the Khumbu region. Daily outings to the adjacent hills will be organized by the team leader where we will walk to some of the nearby hills in order to increase exposure to altitude. We can also attend a seminar on high altitude acclimatization at a hospital run by the Himalayan Rescue Association nearby Pheriche. The walk over to Pheriche and back will also serve as good acclimatization training. Retracing our steps back to Periche, we will continue on the trail up towards Base Camp on this day, stopping at Dugla for lunch. Following the trail steeply going up beside the moraine, we walk further for a couple of hours before we reach Lobuje. Following a trail to Gorak Shep, the site of the base camp in 1953 which have now only few small tea houses, we move further along the trail leading on to the moraine of the Khumbu which weaves between the mounds of rubble and eventually arrives at the base camp near the foot of the Khumbu icefall. We will be staying here for next six weeks. These days will be spent on making the attempt to climb to the top of Mt. Everest by which we come to the climax of our expedition. We take the ascend slow, gradually going up to higher camps and taking proper rest and acclimatization procedures to keep us healthy and fit as we attempt to scale the highest peak of the world. Regular checkups and training will be provided during the expedition to make sure that you are fit and capable of accomplishing the fit without any major or serious injury to yourself. all the team members will return to the base camp and assist each other in packing expedition stores along with cleaning the base camp area. On this day, We will clean up this awesome Mountain which will always remain in our heart. These three days shall be utilized in trekking back to Namche Bazaar from Everest Base Camp following the route through Dingboche and Tengboche staying one night at each of these places. On this day, retracing our steps from nearly two months ago, we will trek back to Lukla from Namche Bazaar where we shall take rest cherishing the memories of the expedition as we come close to bidding farewell to the Lapland of might Mt. Everest. On the 58th day of our expedition, we will return to the warmth and comfort of our hotel in Kathmandu via forty minutes flight from Lukla. An evening barbecue will be hosted by Bharal Adventure team to commemorate the success of the expedition and at the same time to express its gratitude to the Sherpa’s for their support and friendship. This day you can have rest for your next days' departure. You can also visit several shopping malls and some other attractions located in the Thamel or Kathmandu city if you are interested in. The journey of a lifetime in this Himalayan country, Nepal, comes to an end on this day. The representative of Bharal Adventure will drop the travelers at the airport approximately three hours before their scheduled flight. Arrival and departure transfer services to and from both Domestic and International flight as per itinerary. Assistance at the International airport by Bharal Adventures while arriving and departing in Kathmandu. 4 Nights Yak and Yeti or similar hotels accommodation in Kathmandu on B/B basis. Schedule Flight Tickets for Kathmandu-Lukla-Kathmandu sector to all climbing member, Sherpa guide, liaison officer and kitchen staff. All trekking and mountaineering equipment like; kitchen tent, stores tent, dining tents, toilet tents, tables, chairs, and cooking utensils for advance Base Camp and camp two. 3 fresh meals a day (Breakfasts, Lunch and Dinners) will be serve at base camp, and camp two. All food and fuel for Base Camp and higher camps during expedition for both members and crews. Per person 60kg baggage allowance during trekking-up carrying by porter or Yak to climbing the Mt. Everest. Expedition Royalty and climbing permit of Nepal Government to climb Mt. Everest (8848M). One Experienced, Trained, Government Licensed, and 03 Times Everest Summiteers Climbing/expedition Guide (Sherpa) per client. Equipment allowances and wages for Climbing Sherpa’s, cooks, kitchen boys. Satellite phone carrying by Guide for communication and available for members with the cost of US$ 3 per minute call. Ice fall charges by Sagarmatha Pollution Control Committee. Helicopter rescue insurance for high altitude climbing Sherpa guide, cook and staff. Trekking and Climbing map of the Mount Everest. Extra transportation then display in itinerary program. Wallie-talkies & Filming permit (if special camera or walkies-talkies). Summit bonus for climbing Sherpa Guides as per Mountaineering Association rules. Minimum US$ 1500.00 per climbing Sherpa guide.